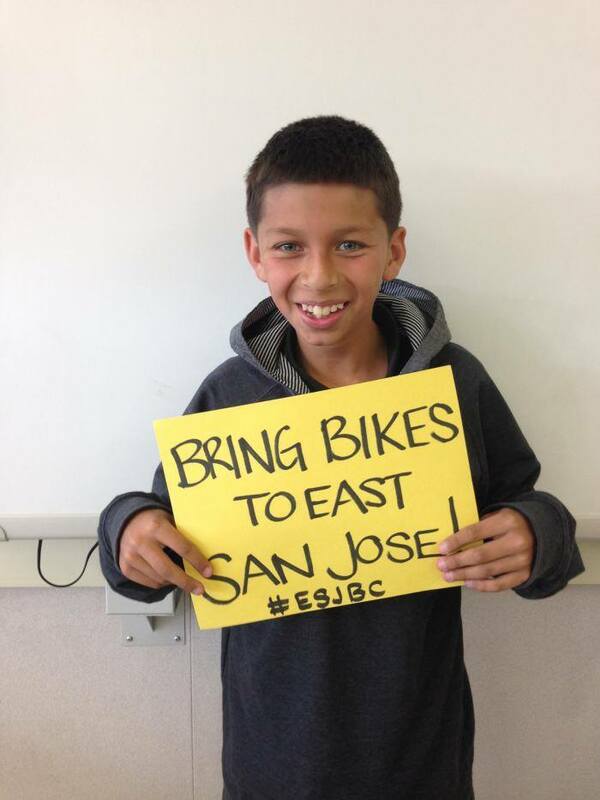 This Friday the East San Jose Bike Coop will be initiating the first youth based feeder ride from the East Side. 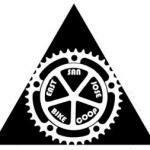 San Jose Bike Coop is a new organization doing great things incorporating safe riding and bike maintenance to middle school riders. 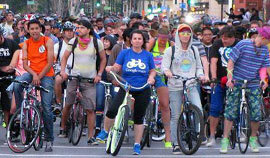 Let’s hope the weather cooperates but as Cassidy Kakin of ESJBC tells us they will be recruiting a large number of adult chaperons from the community to show young riders how to enjoy an event like Bike Party “in an safe and productive way. 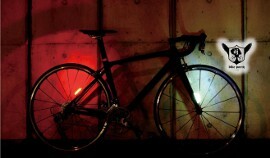 ” To encourage young riders to participate and to make the ride fun and cool, they will be giving out free food and stickers and will be bring a music bike to the ride. Jose one of the many kids the Coop inspires by bikes.